The Pomerania is a varied land of many values. You can be enchanted by sunny beaches and endless space of the Baltic, the sound of waves, the beauty of the landscape, omnipresent forests with hundreds of charming streams, rivers and lakes. In addition of the original metropolis called the Tricity, the Kashubians faithful to their customs and language are an inherent component of the cultural identity; their culture captivates us with the regional embroidery, ceramics, music and dance; there are also their southern neighbours, the Kociewiacy, living in the area between Tczew, Starogard Gdański and Świecie. Well-known people as the musician Grzegorz Ciechowski or a traveller, Wojciech Cejrowski come from there. The Pomeranian Voivodeship also have the beautiful Słupsk and the fertile Żuławy, the land of winds, arcade houses, drawbridges and river harbours. 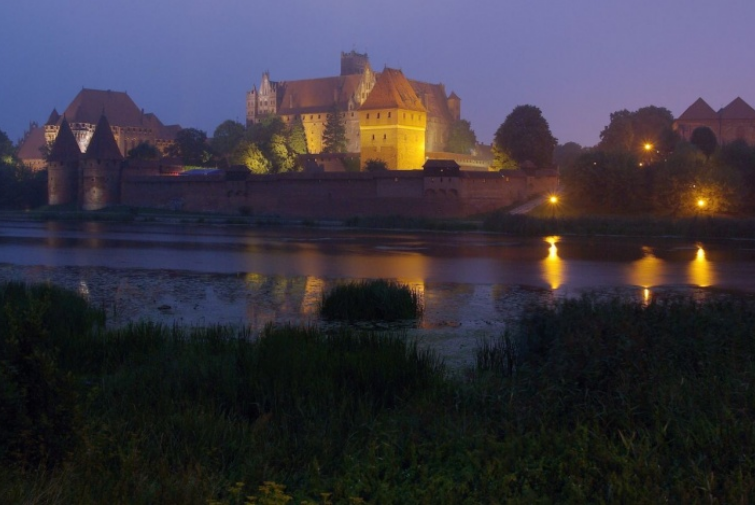 There are also medieval Teutonic castles in Malbork, Gniew, Bytów, Kwidzyn, Lębork, Sztum and Człuchów. The Palace of the Sierakowski Family in Waplewo Wielkie that houses a branch of the National Museum in Gdańsk, underground routes in Prabuty or the Żuławy narrow-gauge railway are worth visiting. Two national parks exist in the Voivodeship, including the Słowiński National Park with shifting sand dunes the highest one of which called Łączka rises 42 m above the sea level and the Bory Tucholskie National Park where, for example, zones of the regular stay of the erne and eagle owl are protected. Additionally, nine landscape parks and a few dozen nature reserves were established. The Hel Peninsula and the Vistula Split have beautiful beaches, ports with marinas, recreation centres and modern conference centres. When in the Hel Peninsula, you should visit the Władysławowo, Chałupy, Jurata or the Hel itself where you can see the Seal Sanctuary and one of the Polish lighthouses. In turn, the Vistula Split is a part of the 52 km long yellow Amber Route from Mikoszewo to Krynica Morska. In addition to many historical monuments, unique events await visitors to the Pomerania, for example, the Amber Fishing World Championships held each year on the beach in Jantar, Truskawkobranie (Strawberry Picking Festival) celebrated by hosts from around Złota Góra since 1971 as well as the regatta, festivals and concerts. You can find perfect conditions for the practicing of all kinds of water sports, for biking excursions, pedestrian trips, horseback riding, angling and hunting there. However, if you are not going beyond the city, we can recommend attractions of Gdańsk.